CULT 004: CULT NEVER DIES: THE MEGA ZINE [by Dayal Patterson / Frank Allain]. Published very late 2016. A full-length 268 page book. 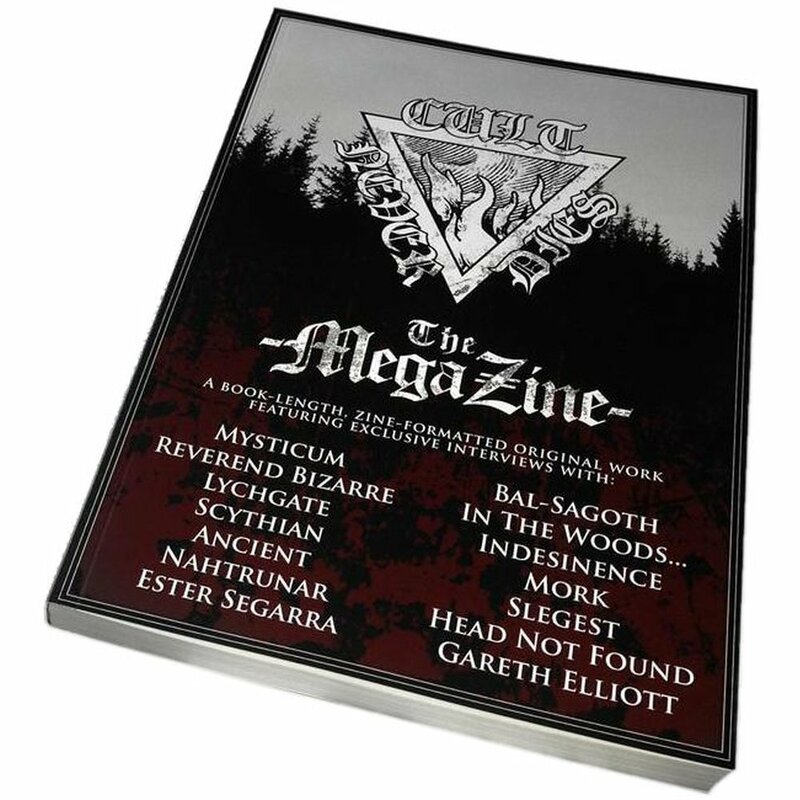 Features exclusive interviews with: MYSTICUM - BAL-SAGOTH - IN THE WOODS... - REVEREND BIZARRE - INDESINENCE - NAHTRUNAR - SLEGEST - SCYTHIAN - LYCHGATE - MORK - ANCIENT - JON KRISTIANSEN / HEAD NOT FOUND Records - Black metal photographer ESTER SEGARRA - Illustrator GARETH ELLIOTT.